"I became Indian. I ignored her. Silence, the Indian's best weapon, an aunt of mine once said. Be an Indian, cut yourself off with silence any way you can. Don't talk. Don't give yourself away." --Greg Sarris, "Reading Narrated American Indian Lives," from his 1993 collection of essays, Keeping Slug Woman Alive. Greg Sarris strides into the lobby of the Rohnert Park Doubletree Inn on a sunny afternoon in mid-October, running late as usual, slight beads of perspiration running down his forehead and neck and disappearing down a long-sleeved white shirt open to the second button. The chairman of the Federated Indians of Graton Rancheria has just returned from Paris, where, in his other persona as Loyola Marymount University professor and critically acclaimed author, he attended a conference on Native Americans with other scholars and American Indians. The French, he ruefully notes as he sits down and stretches his long legs out under a coffee table, were much more interested in the Indians dressed in authentic beaded and feathered costume than with the academics. Sarris is rendezvousing at the Doubletree with 30 or so members of the Graton band in preparation for that night's Rohnert Park City Council meeting, where the tribe's proposed megacasino and resort was topic A on the agenda. In roughly an hour, they'll be facing down hundreds of Rohnert Park citizens angered by what they view as the behind-closed-doors agreement between the city council and the tribe that permitted a casino to invade their community without public input. On this night, they'll get a chance to voice their opposition. The anticasino activists claim the proposed 360-acre casino, hotel, and restaurant development will exacerbate Rohnert Park's already significant traffic problems, deplete the region's scarce water supply, degrade the environment, and create more crime in the area, thereby destroying the city's way of life. The leader of the opposition, Assembly of God pastor Chip Worthington, openly calls the conflict over the casino a "cultural war." The Graton band insists that the $200 million it has agreed to give to the city over the next 20 years will offset the casino's impact on the community, in addition to putting Rohnert Park's strapped city budget back in the black. But since no study has yet been done to determine the actual dollar value of those impacts, opponents say the deal is not good enough. Since August, when the tribe announced it was relocating its proposed Indian gaming facility from the Sears Point area to Rohnert Park, the debate has become increasingly incendiary. Missing from the argument over the casino, at least so far, has been any discussion of gambling's moral implications. Neither Sarris nor Worthington really views the present conflict over gambling as an ethical issue. That seems odd, because both have been influenced by religions that morally prohibit gambling. Sarris in particular has been heavily influenced by the Bole Maru, the spiritual resistance movement that helped rescue Northern California Indian tribes such as the Southern Pomo and the Coast Miwok--the ancestors of the present-day Graton band--from the brink of extermination. Among its many tenets, the Bole Maru forbids mixing blood with whites, drinking alcohol, and gambling. Without the resistance movement, the Graton band might not exist today. Now, ironically, the tribe has turned toward gambling for its survival. Whether it is moral or not is of little concern to either side. In our culture, money talks and morality walks. As the battle over the casino has heated up, media access to tribal members has been strictly limited. The Graton band have preferred to communicate through a well-organized public-relations campaign rather than grant interviews. Sarris agreed to an interview with the Bohemian after being told the topic of the discussion would be the morality of gambling and how it relates to the Bole Maru. Flanked by tribal vice-chair Lorelle Ross and tribal secretary Jeanette Anglin, Sarris is no longer the young man gazing out from the back-cover jacket photographs of novels such as Watermelon Nights and Grand Avenue. The shock of black hair has receded and is flecked with gray; faint worry lines crease his face. But at 52, Sarris--who is of Kashaya (southwestern coastal Pomo), Filipino, and Jewish descent--is still tall and good-looking, with wide shoulders and a thick chest that betray heavy gym work. The heavily caffeinated Ripped Force sports drink he's sipping cuts through the jet lag fast as Sarris warms to the topic of the Bole Maru. The Bole Maru was an amalgamation of traditional Native American spiritual beliefs and Victorian-era Christianity. The movement's origin dates to 1870, when migrant Pomos brought first word of the Ghost Dance from Nevada's Paiute tribe to Northern California. Stressing resistance to cultural assimilation, the Bole Maru ironically borrowed many of its tenets from white culture, including religious-based prohibitions against alcohol and gambling. "When the first Dreamer, Richard Taylor, came back [from Nevada], he saw the people in great disarray," Sarris says. "There was drinking, there was a sense that it was all over." For up to 10 millennia, Northern California's Indians enjoyed a symbiotic relationship with nature that, according to the somewhat romanticized vision of Vinson Brown and Douglas Andrews in The Pomo Indians of California and Their Neighbors, enabled each tribe member to "relate himself deeply to his environment, the woods, the waters, the rocks, the plants, the animals and birds, and other creatures in a way that modern man has surely forgotten." Squabbles between neighboring tribes were infrequent; California's fearsome ecology--featuring drought, flooding, earthquakes, and Mt. Konocti's eruption 5,000 years ago--was the major enemy. The Southern Pomo and Coast Miwok occupied what is now southern Sonoma County and northwest Marin County. At the peak of their civilization, they numbered 20,000. They lived in round thatched huts clumped together in small villages of 600 to 1,000 inhabitants known as tribelets, and used their prodigious talent for weaving to make baskets for cooking, storing acorns and water, and for devising ingenious traps to capture fish, rabbits, and other wild game. Nothing in the Indians' 10,000 years of existence prepared them for the arrival of the Europeans. By the time the discovery of gold at Sutter's Mill brought European-Americans flooding into California in 1849, the tribal populations had already been reduced by an estimated 90 percent from the deprivation and disease inflicted by the Spanish and Russian fur traders during the past century and a half. But if the Spanish and Russians were brutal, the Americans turned out to be oppressors par excellence. The Indians were quickly pushed into the wilderness; many were massacred in cold blood, such as the band of 188 Lake Pomos--men, women, and children--cornered on a small island in Clear Lake that were slaughtered by U.S. Army troops in 1850. Today, only a small plaque next to a grassy knoll not too far from the Robinson Rancheria and Bingo Casino in Nice commemorates the Bloody Island Massacre. When the Gold Rush was over, the number of the Graton band's ancestors had dwindled to 20. Without the Bole Maru, the tribe may have never recovered. "The purpose of the Bole Maru was strictly functional: to rebuild a tribe that had been decimated," Sarris says. "What it did was rebuild the tribe so that the old blood lines were developed." The movement's spiritual leaders were known as Dreamers. They drew upon visions from dreams and dance-induced trances to guide their respective communities through the lean years of the early 20th century, when the federal government and the state of California banished so-called homeless Indians to small rancherias, often in the middle of nowhere. The Bole Maru rules were harsh, tolerating no mixing of blood between Indians and whites. If Kashaya-Philipino-Jewish Sarris had existed during its early years, he might have been killed at birth or at least banished from the tribe. The prohibitions against drinking alcohol and gambling, adapted from Christian morality, were designed to thwart unscrupulous whites who used liquor and games of chance to pry away from them what little wealth indigenous people had. "Mabel McKay was the last of the Bole Maru Dreamers," Sarris says, speaking of the internationally renowned Pomo medicine woman and basket weaver about whom he wrote the biography Mabel McKay: Weaving the Dream. McKay, who passed away in 1993, claimed that the intricate designs for her baskets came from her dreams, and in much the same way, the Bole Maru Dreamers wove the fabric of the material and spiritual worlds together in a blueprint for survival. Something worked, and the Graton band now claims 568 certified members. Sarris neither drinks alcohol nor gambles and says he's been heavily influenced by Bole Maru Dreamers like McKay and the late Essie Parrish. Nevertheless, he sees no conflict between the Bole Maru's prohibition against gambling and the Graton band's effort to establish a casino in Rohnert Park. "The Bole Maru doesn't exist anymore," he says. "It was a remarkable thing what they did, to keep the tribe going." But even Dreamers like Essie Parrish eventually backed off the movement's strict antiassimilation doctrine, he adds. "She said go to school, integrate, we need to survive." The Bole Maru borrowed freely from Christian doctrine. Although the Bible contains no passages that specifically forbid gambling, many clerics have long insisted that the teachings of Jesus are incompatible with indulging in games of chance. In a 1999 article for nonprofit conservative Christian group Focus on the Family, writer Ronald Reno cites numerous Biblical passages that have been interpreted in such a manner. "Jesus commanded, 'Love your neighbor as yourself (Mark 12:31),'" he writes. "Gambling, meanwhile, is predicated on the losses, pain, and suffering of others." Studies have shown that up to 10 percent of those who gamble may have problems controlling their gambling activity, leading to familial problems such as divorce, bankruptcy, child abuse, domestic violence, crime, and suicide. Allowing fellow human beings to suffer thus is immoral, Reno insists, because it violates the commandment to love thy neighbor. As Reno correctly notes, studies have also shown that poor people tend to gamble in numbers larger than their proportion in the population. "Scripture exhorts us to look out for the poor and disadvantaged, and issues strong warning against taking advantage of their plight," he says, citing passages such as Prov. 14:21, 14:31, and 22:16. Gambling also violates the Protestant work ethic. "Work has been part of God's design for mankind from the very beginning. We are to invest our time and energies into labors that supply our needs and those of our families (Prov. 31, 2 Thess. 3:10, 1 Tim. 5:8), and that allow us to share with others (Eph. 4:28). Gambling, meanwhile, portends something for nothing." Since Florida's Seminole tribe opened the first Indian casino two decades ago, the opposition to the subsequent national gambling boom has been led by Christian ministers, so it's no surprise that the opposition to the proposed Rohnert Park casino is led by Assembly of God pastor Chip Worthington. What is surprising is that Worthington doesn't see this as a religious or moral battle. "This is a cultural war," he says via telephone from his church office. "The culture of Rohnert Park is family-oriented, with many parks and schools and nice neighborhoods, and a lifestyle that is dominated by families getting together to have barbecues. Culturally, gambling will destroy this city." When asked to talk about the religious aspects of his antigaming stance, Worthington says, "It's the Protestant work ethic. You work hard, you invest your money, you save it in the bank, and over time, you prosper," he says. "I believe the get-rich-quick morality of Indian gaming is wrong." However, he insists that casino opponents are not the religious zealots portrayed by local media, but concerned citizens who are mad as hell and not willing to take it anymore. "Religion and ethics have little to do with this; it's all about the almighty dollar," says the Assembly of God pastor. "If we held to our religion and ethics, there probably wouldn't be any gambling." And the genocide of Native Americans might never have occurred, he could have added. Perhaps 19th-century philosopher Friedrich Nietzsche was correct when he wrote, "The last Christian died on the cross." Asked to explain what he means by "cultural war," Worthington leaves the Graton band out of the picture, framing the conflict as one between Rohnert Park citizens concerned about the environment, traffic, crime, and potentially declining home values, and Station Casinos, the Nevada-based gaming company providing financial backing to the proposed casino. Estimates of the proposed casino's annual take have ranged from $150 million to $500 million. "Basically, what they want to do is drain our local economy," he says. By federal law, Stations, which will operate the casino for the tribe, is allowed to collect as much as 50 percent of the casino's annual revenue. Like the revenue earned by big-box stores like Home Depot, that money will leave the county. That still leaves the $200 million over the next 20 years the tribe has agreed to give to the city, but that isn't enough for Worthington. "If they were negotiating with me, they would be giving us a lot more money," he says. Apparently, everyone in Babylon has his price. Sarris and Worthington are a study in contrasts. One leads the push to establish a casino; the other leads the opposition against it. One is a smooth-talking intellectual; the other is a garrulous, plainspoken minister for a church that condemns homosexuality and abortion. Politically, Sarris leans to the left. The deal the tribe cut with the Rohnert Park City Council contains progressive elements, such as a unionized casino labor force and environmental mitigations that would normally draw praise from local liberal groups if the proposed development didn't happen to be a casino. Worthington is a tough-talking conservative who opposes big government "paternalism" but concedes that Indian sovereignty grants the Graton band the right to a casino. "This paternalism drives me crazy," Worthington says. "I think this is nothing less than Las Vegas-style paternalism. I think the tribe has a right to a casino, but I just hope they can put it in a place where they can get their economic engine to work without destroying our lifestyle." He says he's currently working on a proposal that will move the proposed casino to an undisclosed location outside Rohnert Park. In the mean time, the campaign to recall Rohnert Park's city council is underway. He suggests the real answer to the problem of Indian self-reliance is to abolish the Bureau of Indian Affairs and distribute its $3 billion annual budget to the Indians, which by his calculations would amount to $50,000 annually per person. The reality is that Indian gaming is so far the only method that's been able to restore Native Americans to some semblance of self-reliance. It's far from perfect. As Newsweek magazine reported last year, only one in 20 Native Americans receives money from gambling. Many tribes are isolated geographically, and casinos are either out of the question or don't do enough business to provide meaningful income. But in California, at least, a reserve trust fund established by Proposition 1A in 2000, the Indian self-reliance initiative overwhelmingly approved by voters, has finally started to pay out increments to the state's nongaming tribes. 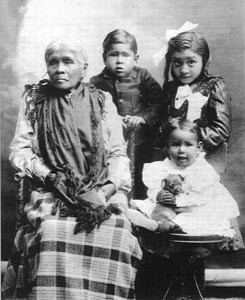 The Sycuan tribe in Southern California have dramatically raised their standard of living, and casinos in Northern California such as Cache Creek, owned by the Indians of the Rumsey Rancheria, where the Bole Maru Dreamer Mabel McKay grew up, are doing well enough to provide healthcare and college scholarships to tribal members. Sitting in the Doubletree lobby, Greg Sarris knows the Graton band's window of opportunity is closing. Some gaming industry experts predict that within the next 10 years Internet gambling may make Indian casinos obsolete. Time is of the essence. For the past decade, he's led the fight to restore the tribe's federal recognition, which was removed by the Rancheria Termination Act in 1958. Recognition was restored in 2000, but many Graton band members are still sore about termination. "They came in August of 1958," recalls tribal vice-chair Lorelle Ross. The Termination Act disbanded the rancheria but granted individual Indians the right to own the 16 acres of land as private property. Unfortunately, state and federal agents didn't mention concepts such as property taxes to the new landowners when they showed up at the rancheria. "Anybody who could was out harvesting, and it was never explained to them." As levels of indebtedness increased, tribal members began selling off their property. Ross' father was one of the last ones to hold out, but eventually debt forced him to sell all but one acre of his land. "Mom is still the original owner of the property," Ross says. "But in most cases, they lost everything and you don't have that generational link to the land." When recognition was restored, Sarris said publicly that the tribe wasn't planning on building a casino. The tribe explored other options, such as organic food processing, a cheese factory, and a winery, Sarris says, "all of which need capital or there is already a glut of here." "No bank was going to give us money," he continues. Enter Station Casinos, which also bankrolled a controversial casino in the Sierra foothills outside Auburn. "Any good economist will tell you we made a prudent decision. As I tell my friends, do the math." Doing the math has replaced dreaming for the Federated Indians of the Graton Rancheria. It's simply a matter of survival. Some of Graton band members still weave baskets, but unlike Mabel McKay, they no longer dream their designs. Such dreams no longer have a place in a culture supposedly founded in part on the doctrine of loving thy neighbor. That this culture can only offer the victims of its genocidal rage the right to build casinos is a sign of not just how much they've lost, but how much we've all lost. But Sarris is not ruling out the possibility that they may someday dream again. "Mabel McKay always said the spirit doesn't go away and hide under a rock," he says with a mischievous smile. With that, he stands up to join the rest of the Graton band to prepare to face the angry citizenry of Rohnert Park. The tribe get their way that night. The Rohnert Park City Council refuse to rescind the deal, despite a raucous crowd of more than 500 protesters. But Worthington promises the battle is far from over. "The bottom line for me, why I'm fighting this like a dog, is that I'm not going to give up democracy to these guys," he says, referring to the Rohnert Park City Council. "For too long, we've let these guys ruin our city." From the December 4-10, 2003 issue of the North Bay Bohemian.